New research suggests that there may be a way to reduce the risks of breaching the blood-brain barrier in astronauts while in zero gravity. An experiment suggests that the problem of fluid pressure associated with zero gravity, and which negatively impacts astronauts’ brains, is caused by nitric oxide. As you sat down around your Thanksgiving table down here on Earth, astronauts on the International Space Station also celebrated the holiday. The three astronauts currently on the ISS are Alexander Gerst (Germany), Serena M. Auñón-Chancellor (U.S.), and Sergey Prokopyev (Russia). The crewmates had a traditional Thanksgiving meal consisting of turkey, candied yams, stuffing, and poundcake — all tightly packed to prevent spoiling. While Thanksgiving can be stressful, at least you don’t have to worry about the role of gravity, or lack thereof. The effect of zero gravity on the life of astronauts goes beyond just the way meals are prepared and eaten. It also affects their health, especially that of their brain. Russian cosmonaut Valeri Polyakov holds the record for the longest single stay in space in history, having stayed over 14 months in a row (438 days) aboard the Mir space station. This doesn’t even come close to what’s expected from NASA astronauts when they leave for a trip to Mars. Between the round trip and their sojourn there, astronauts will stay about three years in a reduced-gravity environment. NASA has been studying the effects of longterm spaceflights on the human body as it works toward sending astronauts to Mars. 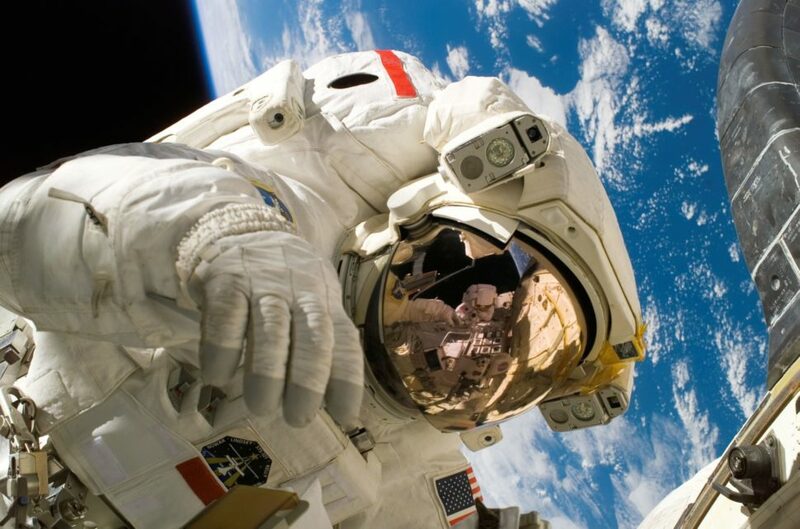 Space imposes extreme conditions on astronauts, like radiation and weightlessness, which could have serious repercussions on the health of the body and brain. Weightlessness has several adverse effects on the body, such as decreased muscle and bone density, but its more serious stress is on the brain. A zero gravity environment changes the distribution of bodily fluids, mostly blood, causing them to go up to the brain. As fluids accumulate in the facial cavities, astronauts experience visual disturbances and their sense of smell weakens, which could explain their hot-sauce cravings. The phenomenon is characterized by redness and roundness of the face — At NASA, they call it the Charlie Brown effect. It’s also known as “Puffy Head Bird Legs” syndrome. Damian Bailey, Professor of Physiology and Biochemistry at the University of South Wales, wanted to get to the bottom of the problem and find what causes fluids to build up in the head. In an article, published in Conversation, Bailey provides some new clues as to how zero gravity affects the brain. He suggests that the culprit might be nitric oxide. “I think that certain parts of the brain end up receiving way too much blood because nitric oxide builds up in the bloodstream. This makes the arteries supplying the brain with blood relax, so that they open up too much. As a result of this relentless surge in blood flow, the blood-brain barrier – the brain’s “shock absorber” – may become overwhelmed,” said Bailey. Nitric oxide (NO) is a gas consisting of oxygen and nitrogen molecules. In the human body, NO molecules roam as free radicals and play a role in many physiological processes. To test his theory, Bailey rode the Vomit Comet, an aircraft that simulates a reduced-gravity environment. Tom Cruise, known for his stunts, used the Vomit Comet to shoot a Zero-G sequence for The Mummy movie. For Bailey’s team of eight volunteers, however, they had to take four flights abroad the Vomit Comet, once every day. Bailey took a lot of measurements during the experiment, including levels of nitric oxide in the blood. Now, Bailey said he’d follow up with more detailed measurements of fluid shifts in the brain to confirm his findings. Would gravity, which is already a thorn in the side of astrophysicists, hamper Mars conquest?